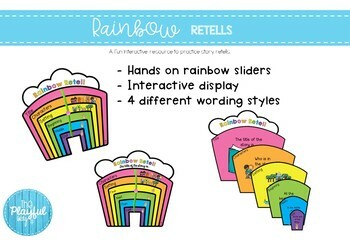 This product is perfect to help practice retelling stories in your classroom in a bright, colourful and interactive way. 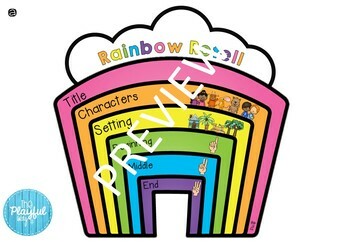 Support your students to recall title, characters, setting and main events when retelling a story. 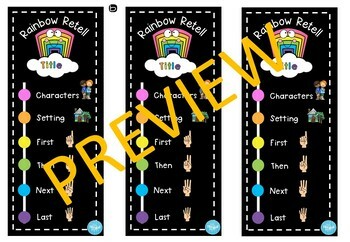 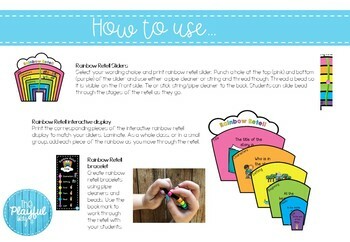 - Rainbow retell bookmarks to use with retell bracelets.